Ullman DynamicsNewsUllman in Abu Dhabi 17-21 February! Ullman in Abu Dhabi 17-21 February! 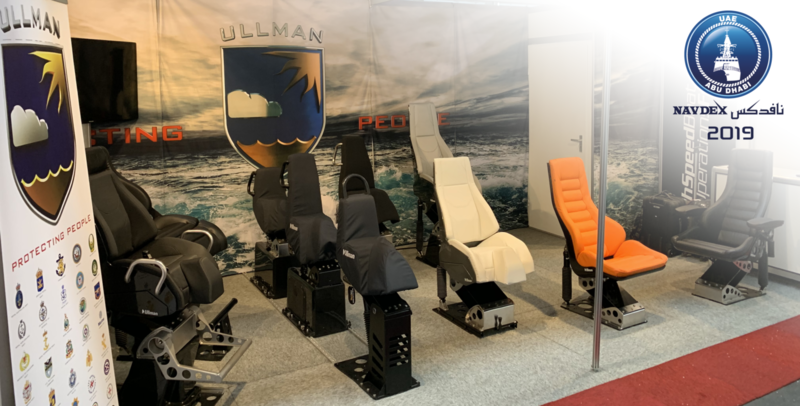 There will be several boats at Navdex with Ullman seats! Read more about two of them below. 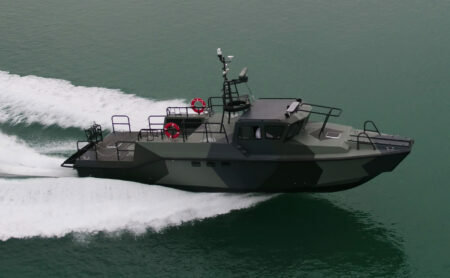 Used for patrol and interception duties, this vessel has a 13.5 m-long hull and is manned by a 4-6 crew who are comfortably seated on Ullman seats. It is powered by three Mercury Verado outboard engines that give it a top speed of 55 knots. 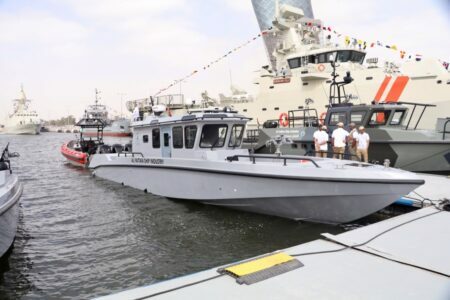 This 16m combat boat weighs about 19 tons and has a beam of 3.9m. It can reach speeds of up to 50 knots and is powered by a combination of two 1136 hp Caterpillar engines and two HJ403 Hamilton waterjets. It can carry 12 troops with space for 2 crew. We are proud to have been chosen to outfit the boat with suspension seating.